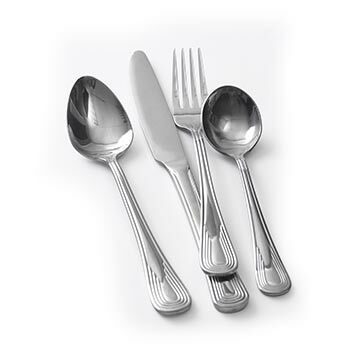 World Tableware’s Reflections flatware pattern is versatile, brightly finished and symmetrical. The understated lines around the border, rounded shape, and brightly polished handle are perfect for both elegant and casual dining presentations. 18% chrome stainless steel construction, provides high polish and long lasting durability.